Your disability attorney in Statesville, NC can often help your case move through the appeals system faster. When faced with a disability of any type, severity, or duration, a disability attorney is easily the best way to increase the statistical likelihood that your case will be successful. Because of the different state laws that apply to state-associated disability benefits, as well as the various regulations regarding Social Security Disability and other types of disability that may be applicable to your case. Understanding not only the large ideas, but also the smallest details, will help your disability attorney to prepare and file the claim or claims with the greatest likelihood of success. While some people do wait years for their claims to be processed, many of these do not utilize the experience or legal knowledge that a disability attorney brings to the table. The type of disability, start date and cause of any disability, the severity and limitations brought on by the disability, and the duration or lifelong nature of the disability can all be determining factors in the success or failure of your case. For this reason, a disability attorney can help from day one of the disability, as long as he or she is brought onto the case. Doing so can help protect you, your assets, and your family while the claim is being processed, saving you money, headaches, time, and trouble in one of the more challenging moments in a person’s life. This becomes even more important should your initial case be denied for any reason, as your disability attorney can often help your case move through the appeals system faster. 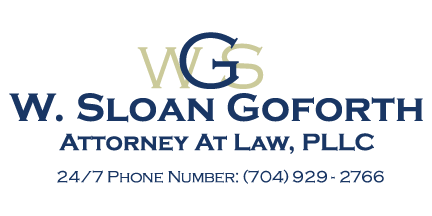 W. Sloan Goforth, Attorney at Law has years of experience helping clients in and around Statesville, NC, with all of their disability, family, and criminal defense law needs. Contact us today to schedule your consultation. At the office of W. Sloan Goforth, Attorney at Law, our disability attorney proudly serves residents of Statesville, Troutman, Taylorsville, Mocksville, Mooresville, Hickory, Iredell County, Alexander County, and Davie County, North Carolina.